When I heard about this event, my friend and I made plans to attend right away. We arrived at the library an hour before the event started and got prime parking in the library’s parking lot. When we entered, we were so impressed with the library. It was HUGE! Like four stories huge! Not to mention that the fourth story was dedicated to YA. Unbelievable! When we entered the auditorium, we were given a tote bag and were allowed to pick two ARCs. I was able to get Illuminae and Legacy of Kings, both of which I’ve been dying to get. We wanted to check out the YA floor since there was still time to kill so we headed upstairs. Chairs and table were set up on one side for the panels and signings. There were a bunch of freebies laid out so I picked up some pins and bookmarks. After, we went back downstairs for the keynote. Mary McCoy did a wonderful job on the keynote. I thought her speech was very nice and she was very well spoken. 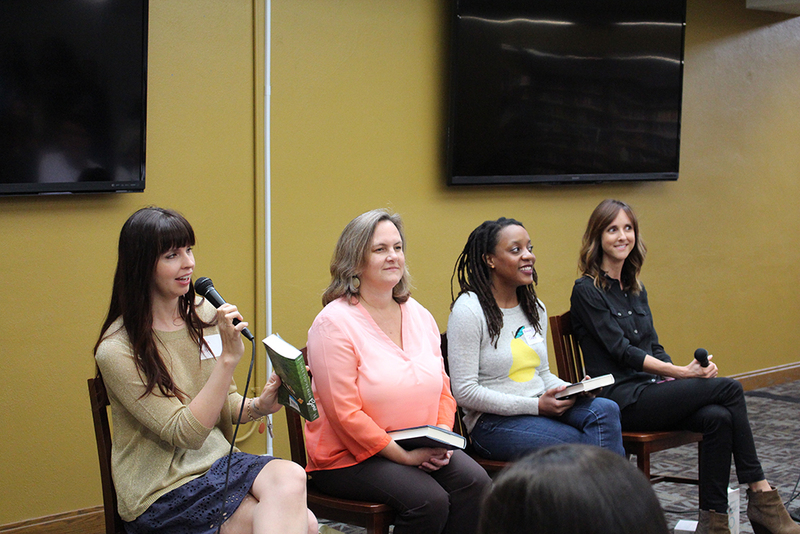 She herself is a YA librarian as well as an author, and it was so refreshing to hear from a librarian’s perspective. We then moved upstairs to the first panel: Second Chances with Brandy Colbert, Morgan Matson, Lauren Miller, and Sarah Tomp. I haven’t read any of these authors’ books. However, I did meet Morgan Matson the previous week at the Fierce Reads Spring Fling Leg 1 stop. We headed back to the auditorium for the next panel: The First Time with Kody Keplinger, Victoria Aveyard, Alexis Bass, and Virginia Boecker. I really enjoyed this panel as they talked about all sorts of different parts of their writing processes. Virginia’s friends convinced her to find an agent and get her novel published. After graduating from USC, Victoria moved back home to work on Red Queen as well as her screenplay. Alexis wrote most of her book around town on her phone. Kody was sixteen when she wrote The DUFF. She now lives in New York and likes to write in bed. My friend decided to go catch the next panel while I stood in the signing line. Once I finally got to the stage, the authors were so nice. I had met Victoria at Yallwest where she quickly signed my book, but I hadn’t been able to actually talk to her due to this rude lady in front of me. Luckily, there was more time here and Victoria signed a poster and sampler for a giveaway. We talked about Yallwest and took a picture together with Alexis Bass. Alexis then signed my book next and Virginia signed a bookplate for me since her book hadn’t released yet. Kody was last and we talked about how characters from each of the previous books are in Lying Out Loud while she signed it for me. By the time I made it upstairs, the panel was already over and the signing had already begun. I quickly got in line while my friend went to the next panel. I’ve met Kirsten White before and she was so nice again. I had my UK version of My True Love Gave To Me with me and she was so excited to see that Stephanie Perkins had already signed it. It was also pretty awesome that she remembered me when I mentioned that we’ve exchanged tweets before. 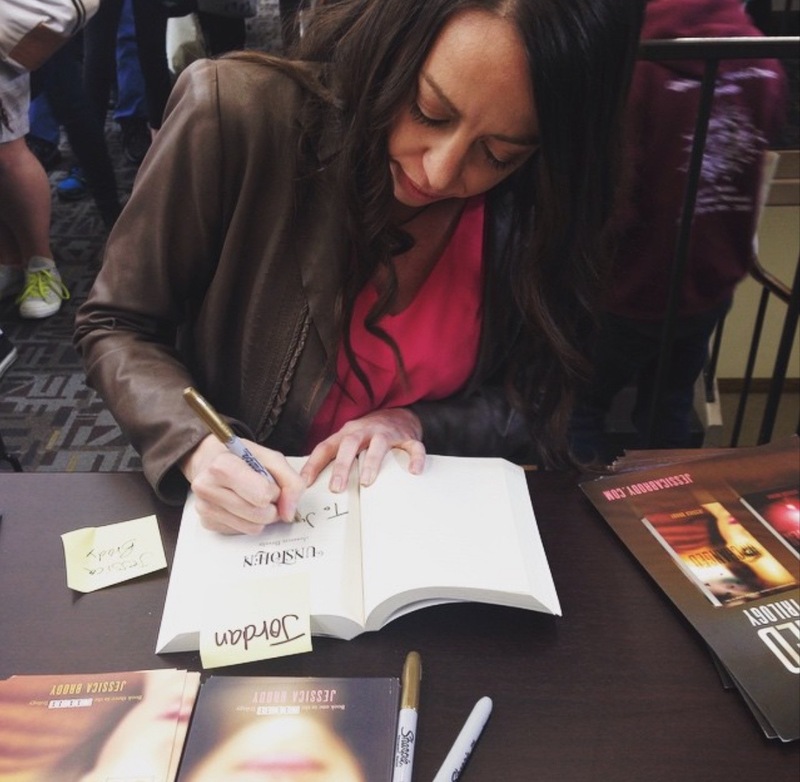 Next, I went to meet Jessica Brody and get my Fierce Reads Kisses and Curses anthology signed. Jessica said that this was her first time signing it so that was pretty cool! 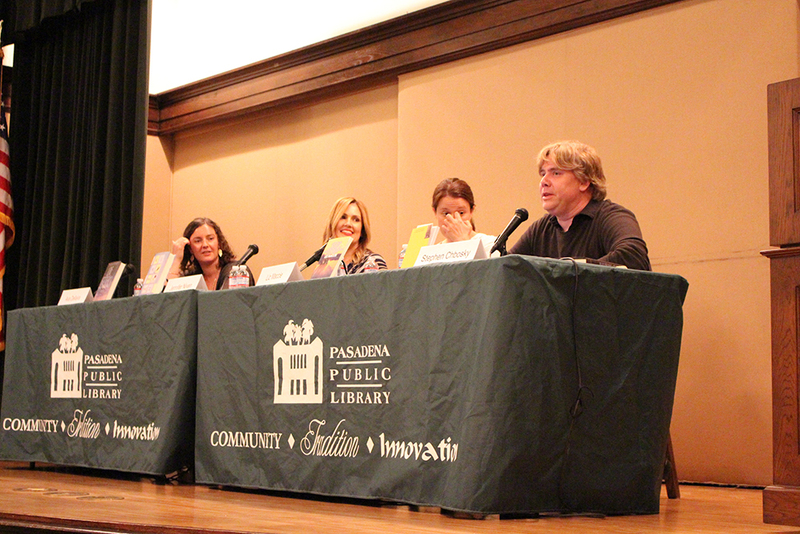 The final panel was Tough Topics was with Stephen Chbosky, Liz Maccie, Ava Dellaira, and Jennifer Niven. I hadn’t known that Stephen and Liz were married or that Ava had been Stephen’s assistant for a few years. It was definitely interesting seeing them interact since they knew each other so well. I also liked hearing about the process of turing their books in to movies. Jennifer Niven was so sweet when I got to meet her after the panel. As she signed my book, I got to sign hers! I love when authors do that and it was very neat. She also wanted to take a selfie with her phone after I took my own photo. Overall, the event was great! I can’t wait to go back for next year’s event!